away from the women’s singles title at the Hana-Cupid Japan Women’s Open after winning two matches on Saturday. 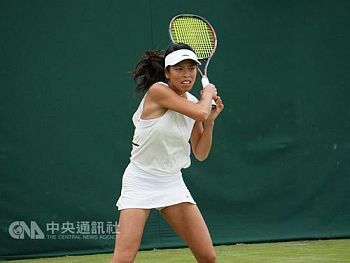 The second-seeded Hsieh faced off against the fifth-seeded Ajla Tomljanovic of Australia in a quarterfinal that was scheduled for Friday but had to be postponed for a day because of rain. After losing to Ajla 4-6 in the first set, Hsieh fought back in the second and third sets, which she won 6-2, 6-0 to advance to the semifinals.